Video games are no longer simple time-passers, but you probably already knew that. By using techniques from the film industry video games have increasingly become more intricate and cinematic not only through their visuals and graphics but their storylines and characters. It’s progressed to the point in which some video games could be full fledged films. Could the improvement with cinematic technique mean competition for the film industry? These days, games contain nerve-wracking, heart-wrenching, tear-inducing, storylines that match those of films. 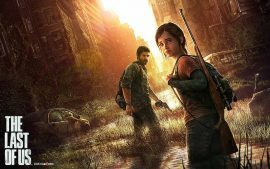 Ask anyone who played the first 15 minutes of The Last of Us. 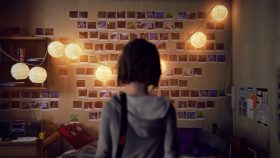 Some games like Life is Strange have abandoned the fps, melee, or other combative gameplay for a choice-based gameplay that focuses on your relationships with others. You’re immersed in the story the entire time and are forced to juggle many different character plots filled with serious matters. While this style comes close to film, it has an interactive aspect you can’t get in that platform. You get to be the character and make decisions. In short, films help you imagine living a different life. Video games let you operate within that imagination. The video game industry has improved recently in its creation of multidimensional characters and often hires incredibly talented voice actors to play those characters. One of the reasons The Last of Us is so emotionally engaging is because of the writing and great performances put on by the voice actors. They also take the time to develop the characters, their personalities, and motives because a video game usually goes on longer than a movie can. Does this mean video games will challenge film in popularity? I doubt it. Most people don’t have the time to sit down and play a 6+ hour game compared to watching a two hour film. If they did, the fact is, some people just don’t want to do that. Not to mention the price difference in buying a brand new game ($60) versus seeing a movie in theaters ($10). Film and video games will always have their demographics but the two are definitely more intertwined than we think.